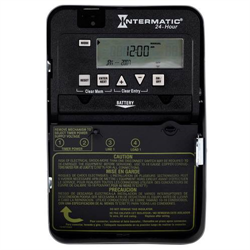 The	Intermatic	ET1100	Series	Electronic	24-Hour	Time	Switch	automatically	switches	loads	to	a	preset	daily	schedule	with	to-the-minute	accuracy. Use	the	ET1100	series	as	an	ON/OFF	timer	in	applications	requiring	24-hour	load	control	such	as	lighting,	air	conditioning	systems,	pumps,	etc. 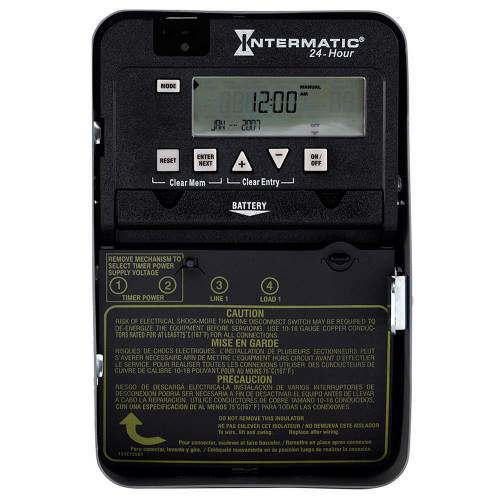 Each	load	output	of	the	Time	Switch	can	support	up	to	14	timed	ON	and	14	timed	OFF	events	per	day. The	program	can	be	overridden	by	pushing	the	ON/OFF	load	override	button(s). 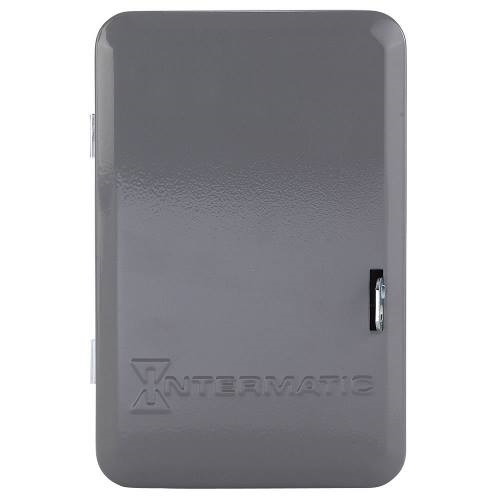 The	ET1100	Series	Time	Switch	is	designed	to	directly	switch	tungsten	or	ballast	loads	up	to	its	rating,	and	inductive	or	resistive	loads	up to 30A per pole at 120, 208, 240, or 277 VAC.